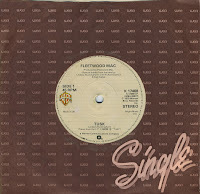 Listening to this old single by Fleetwood Mac, you realise the band has got quite a history. You wouldn't recognise this as a Fleetwood Mac single if you grew up in the Eighties or later. There is a reason, of course, for this metamorphosis: in the Sixties, the band's blues rock guitarist and founder member Peter Green was a major member of the band, until he left in 1970, being diagnosed with schizophrenia and spending time in psychiatric hospitals. The composition and its arrangement suggest a relaxing sea setting, with cymbals imitating the sound of waves (Mick Fleetwood played his drum kit using timpani mallets to give a muted sound) and a dreamy solo from Green's guitar. It is often assumed that Green used his Les Paul but he said it was his Fender Stratocaster, as there is subtle use of the vibrato bar. The single, released in November 1968, went no. 1 in the UK singles chart and no. 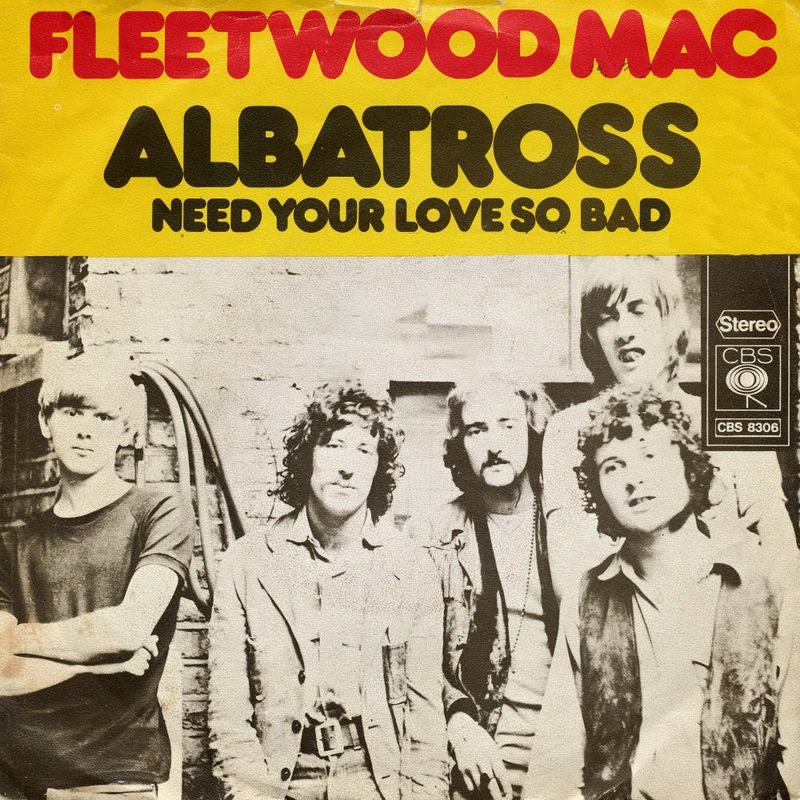 2 in the Netherlands.The B-side, 'Need your love so bad', released as a single in its own right four months earlier, was similarly successful, reaching no. 31 and no. 4 respectively. Fleetwood Mac released the album 'Tusk' in 1979, with the first two singles, 'Tusk' and 'Sara' being the album's best known singles. Four more singles were released from the album, and this German release features two of them: 'Not that funny' and 'Think about me'. 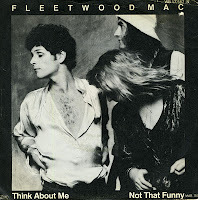 'Think about me' reached number 20 in the US Billboard Hot 100 chart and number 24 in the Canadian singles chart, whereas 'Not that funny', which is the A-side of this single, wasn't a hit in any territory. Commenting on the track in interview, Stevie Nicks says that 'Sara' is about her best friend Sara Recor Fleetwood, the wife of Mick Fleetwood. Nicks had an affair with Mick Fleetwood in early 1978 while he was married to Jenny Boyd. Then her best friend, model Sara Recor, fell for Fleetwood and began an affair with him whilst Nicks and Fleetwood were still together. The pair ultimately moved in together, and were subsequently married. Nicks felt very betrayed, but Recor and Fleetwood were undeniably in love. 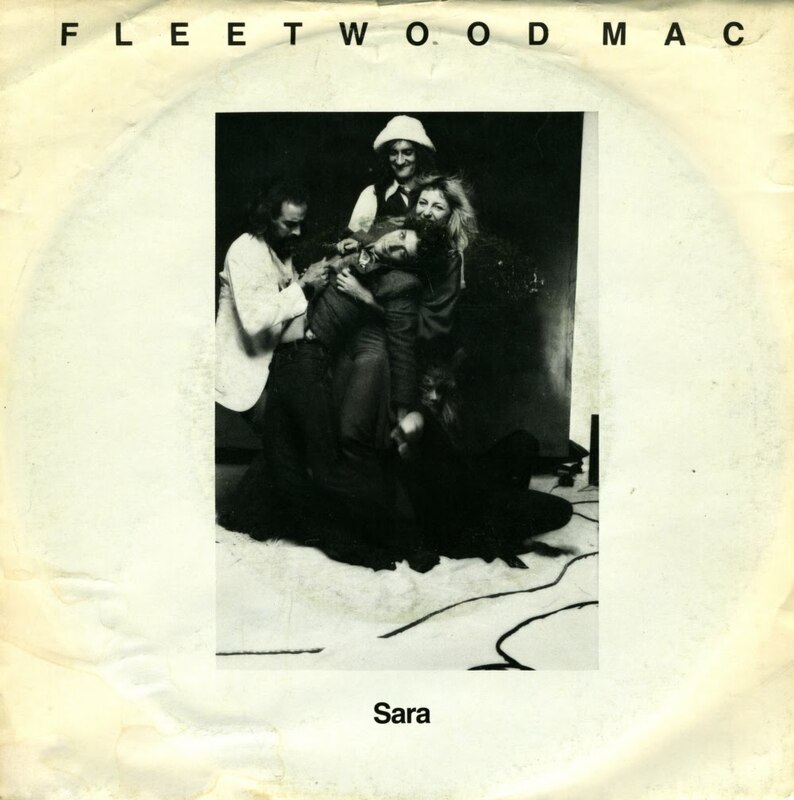 Sara claims that Nicks was never upset with her, only with Fleetwood. 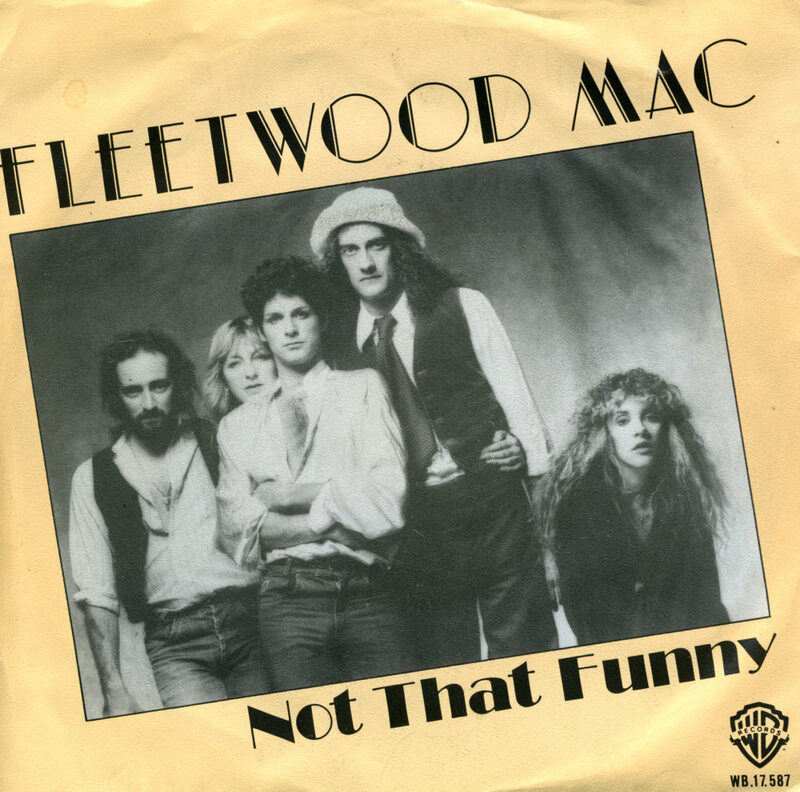 The song originally had many more verses and ran for 16 minutes in demo form, according to Nicks, and referenced all Fleetwood Mac band members. 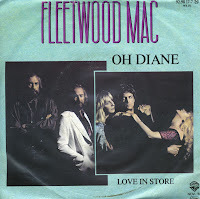 The song was a commentary on all the tangled relationships and love affairs that were occurring in 1977-1978, but the final recorded version omitted most of this and focused on the triangle between Nicks, Fleetwood and Recor. The song remains one of the standout track of the band's 1979 album 'Tusk' and although I didn't have this single until now, I've always wanted to have it! Though selling millions of copies worldwide, Fleetwood Mac's 1979 album 'Tusk' was deemed a failure in comparison to their previous album, 'Rumours'. Two hit singles were taken from the album ('Sara' and the title track), but three further singles failed to chart in most territories. 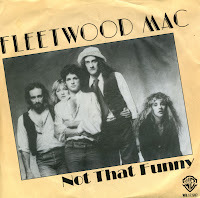 'Not that funny' was released as the third single from the album and underwent the same fate as its follow-ups 'Think about me' (released in the USA only) and 'Sisters of the moon'. 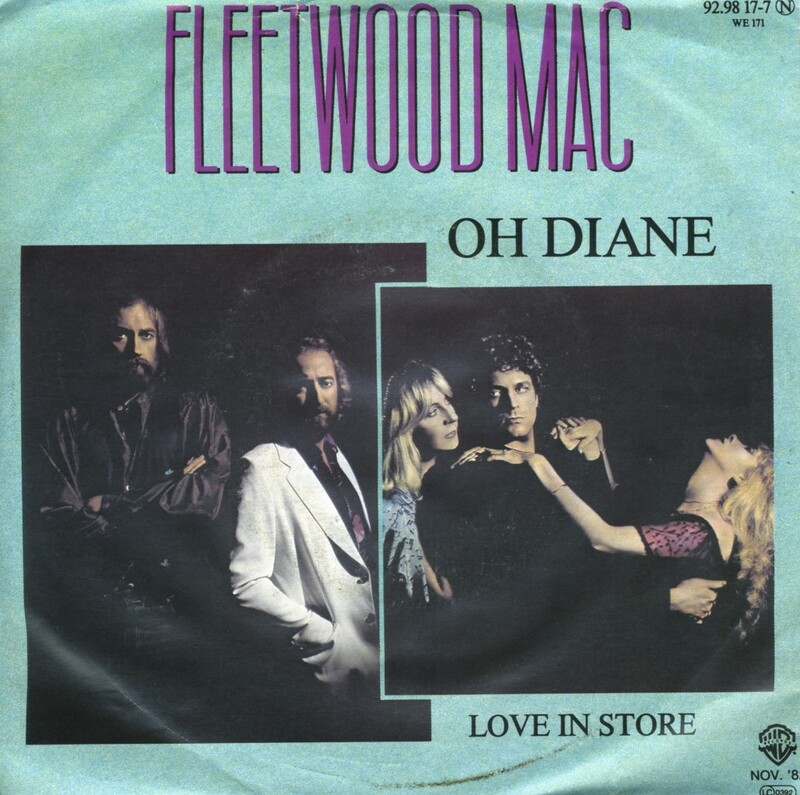 'Oh Diane' was written by Lindsey Buckingham for Fleetwood Mac's 1982 album 'Mirage'. The song, like the album, was produced by him as well. Despite the previous two singles from the album ('Hold me' and 'Gypsy') being unsuccessful, the song became a surprise big hit for the band in the United Kingdom when released there in December 1982. It peaked at number 9 in February 1983, helping to push its parent album into the Albums chart Top 10. 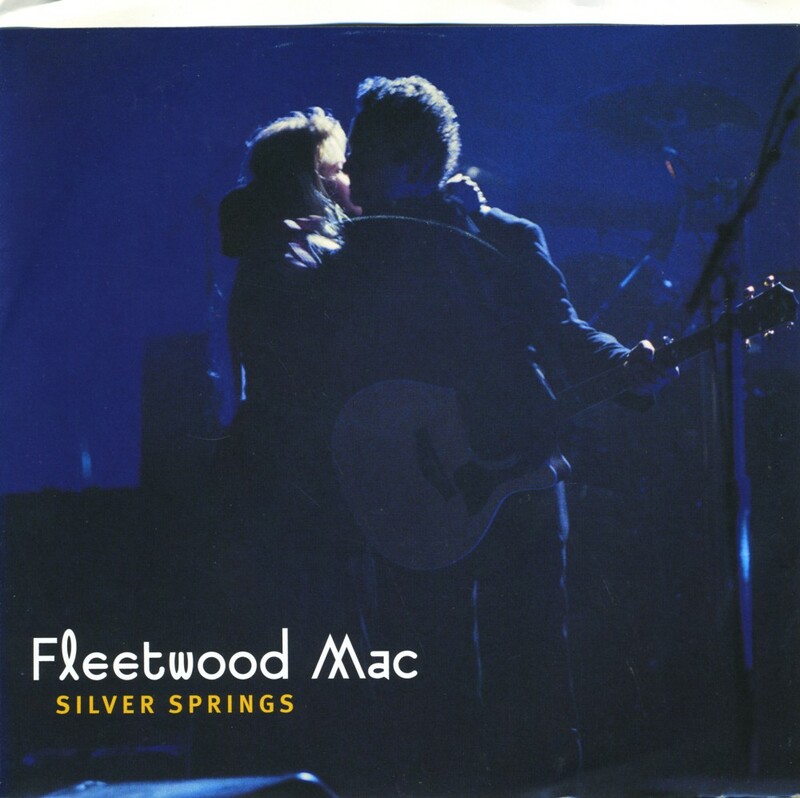 Written by Stevie Nicks, 'Silver springs' was originally intended for the Fleetwood Mac album 'Rumours'. Years after the fact, Nicks commented that in a way, its lack of inclusion on the effort marked a growing tension in the band. The group has three great writers, and only so many slots. The track's inherent longing reportedly came from the ending of the romantic relationship between Nicks and Lindsey Buckingham. Years later, the band went on a world tour to promote the Fleetwood Mac album 'Behind the mask'. 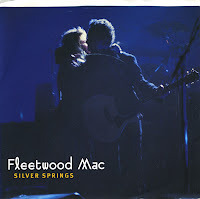 After the tour concluded, Nicks left the group over a dispute with Mick Fleetwood, who would not allow her to release the track 'Silver springs' on her album 'Timespace – The Best of Stevie Nicks', because of his plans to release it on a forthcoming Fleetwood Mac box set. The song eventually appeared on the 1992 box set '25 Years: The Chain'. In 1997, the song got a second life on the reunion album 'The Dance'. During the filming of the reunion concert that brought Nicks and Buckingham back to the fold, 'Silver springs' was on the set list. This track was released as a single from the album, but was not commercially successful. Without Lindsey Buckingham, Fleetwood Mac soldiered on. Billy Burnette and Rick Vito replaced him and in the new line-up they recorded the 1990 album 'Behind the mask'. Four singles were drawn from the album, of which 'Skies the limit' was the third. The song was written by Christine McVie and her then-husband Eddy Quintela. The single did not chart in any territory. In 1989, the record company shied away from releasing 'No questions asked', one of two new tracks on Fleetwood Mac's 1988 'Greatest Hits' album. 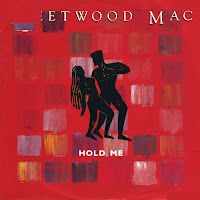 Instead, they put it on the B-side of a re-release of the song 'Hold me', which was originally a hit in 1982. 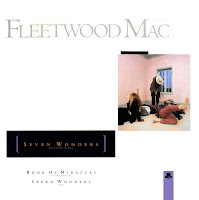 Written by Christine McVie and Robbie Patton, it became one of Fleetwood Mac's biggest hits in the USA. Released in July 1982, it peaked at number 4 for seven weeks. The 1989 re-release was not quite as successful. It reached number 94 in the UK singles chart and number 29 in the Dutch Top 40. The production process of making 7" vinyl singles has been successful for millions of copies: you take a piece of vinyl, press the grooves on it, cut off the edges to make a round piece of vinyl and punch a hole in the middle. But sometimes, things go wrong. 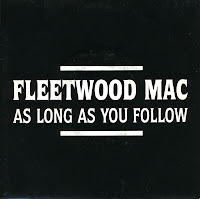 My copy of 'As long as you follow' by Fleetwood Mac had a hole in the middle, but it was not exactly in the middle. As a result, the sides were unlistenable. I never went back to the shop with the single, but I did buy a promotional copy of it, made in Spain, seven years later. This copy featured 'As long as you follow' on both sides. For this blog, I used my original copy to record the B-side. It's a matter of putting the record on the right spot on the record player. I think the recording still turned out alright! 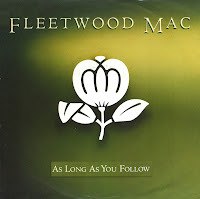 'As long as you follow' was a new track on the compilation album 'Greatest hits', released in 1988 after Fleetwood Mac's previous album 'Tango in the night' was very successful. Lindsey Buckingham had left the band and he was replaced by Billy Burnette (mainly for lead vocals) and Rick Vito. The single reached number 13 in the Dutch Top 40 and number 66 in the UK singles chart. 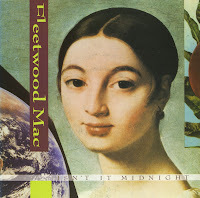 'Isn't it midnight' was released as the sixth and final single from Fleetwood Mac's 1987 album 'Tango in the night'. The song was co-written and sung by Christine McVie. In the UK singles chart, 'Isn't it midnight' reached number 60 in June 1988. In Ireland, the single reached number 23. Fleetwood Mac were formed in 1967 in London by Peter Green, Mick Fleetwood, Jeremy Spencer and John McVie. They released their self-titled debut album in February 1968. Six months later, 'Mr Wonderful', their second album was released. Both albums were very blues-oriented. Shortly after the release of their second album Fleetwood Mac added guitarist Danny Kirwan to their line-up. With him they recorded their third album 'The pious bird of good omen'. They soon made their last all-blues recordings, as they changed label and changed style. Even though The Beatles wanted the band on Apple Records (Mick Fleetwood and George Harrison were brothers-in-law), the band's manager Clifford Davis decided to go with Warner Bros. Records, the label they have stayed with ever since. Their first album for Warner, released in September 1969, was the well-regarded 'Then play on'. 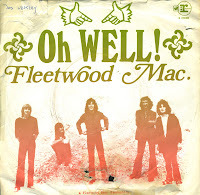 This album contained the single 'Oh well', a single that became a number 1 hit in the Netherlands and a number 2 hit in the UK singles chrat in the autumn of 1969. 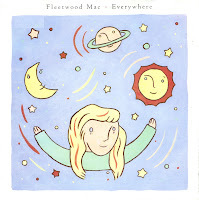 'Everywhere' was the fifth single taken from Fleetwood Mac's 1987 album 'Tango in the night'. Released in February 1988, it reached number 4 in the UK singles chart and number 3 in the Dutch Top 40. In the USA, where the single was released in November 1987, it reached number 14 in the US Billboard Hot 100 chart. This single was also the first cd-single release by the band in most territories. I bought the cd-single at the time of its release, and only bought the 7" single 12 years later. 'Little lies' was written by Christine McVie with her husband at the time, Eddy Quintela. 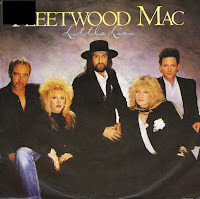 It was recorded as a track on Fleetwood Mac's 1987 album 'Tango in the night' and released as the album's third single. Upon its release in September 1987, the single reached number 5 in the UK singles chart and number 4 in the US Billboard Hot 100 chart. In the Dutch Top 40, 'Little lies' reached number 10. 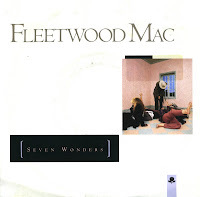 'Seven wonders' was the second single release from Fleetwood Mac's 1987 album 'Tango in the night'. Lead vocals were performed by Stevie Nicks, who wrote the song together with Sandy Stewart. The single reached number 27 in the Dutch Top 40, but stalled at number 56 in the UK singles chart. 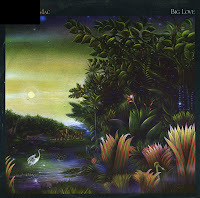 'Big love' was written by Lindsey Buckingham, and was originally going to be part of his third solo album which he began working on in 1985, but the project became a Fleetwood Mac album instead. Since Buckingham left Fleetwood Mac in 1987 (shortly after the album 'Tango in the night' was released), the band never performed 'Big love' live until his return in 1997. Meanwhile, the single reached number 9 in the UK singles chart and number 4 in the Dutch Top 40. Though many assumed the female 'ahh' in this track to be Stevie Nicks, it was actually Lindsey Buckingham performing both, created by way of his voice being sampled and altered in the studio to mimic that of a woman. 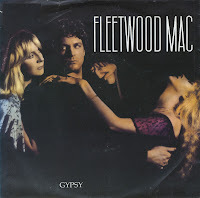 'Gypsy' was a track on Fleetwood Mac's album 'Mirage'. When it was released as a single it reached number 1 in Canada, number 12 in the US Billboard Hot 100 chart and number 46 in the UK singles chart. 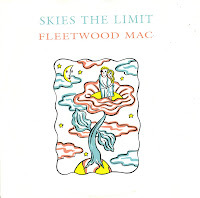 'Tusk' was recorded by Fleetwood Mac on their 1979 double album of the same name. It was based in part on a rehearsal riff the band used for sound-checks. 'Tusk' was recorded live at Dodger Stadium (without an audience) in Los Angeles, California in collaboration with the University of Southern California Trojan Marching Band. The performance was also filmed for the song's music video. The single reached number 8 on the US Billboard Hot 100 chart, number 6 in the UK singles chart and number 4 in the Dutch Top 40. Fleetwood Mac band member Lindsey Buckingham wrote 'Go your own way' with regard to his bandmate Stevie Nicks, with whom he had just ended a romantic relationship. It describes their breakup, with the most obvious line being, 'Packing up, shacking up is all you want to do.' Nicks insisted she never shacked up with anyone when they were together, and wanted Lindsey to take out the line, but he refused. 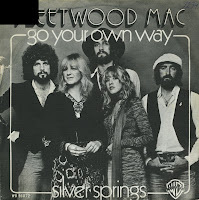 'Go your own way' was the first single taken from Fleetwood Mac's legendary album 'Rumours'. It reached number 38 in the UK singles chart, number 10 in the US Billboard Hot 100 and number 1 in the Dutch Top 40. I recently found the 12" single of 'Seven wonders', and quite cheaply too. Released as the second single from the million-selling album, it couldn't match the success of previous single 'Big love'. It was a top 20 hit in America and South-Africa only. As much as I love 7" single box sets, some of them are pretty lame. Take for instance this one: it includes, besides the 7" single, two 'special prints'. The two illustrations on the prints by Susan Young and Christine Tongue are nice, but do they really warrant the manufacturing of a special box? Couldn't they just have put these two bits of paper into the sleeve of the single? These are just the questions that popped up in my head while I was doubting whether I would buy this item. 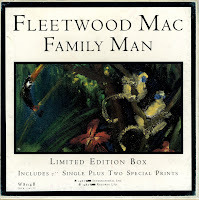 'Family man' was the fourth out of six singles drawn from the 1987 Fleetwood Mac album 'Tango in the night'. It was a very modest hit for the band.